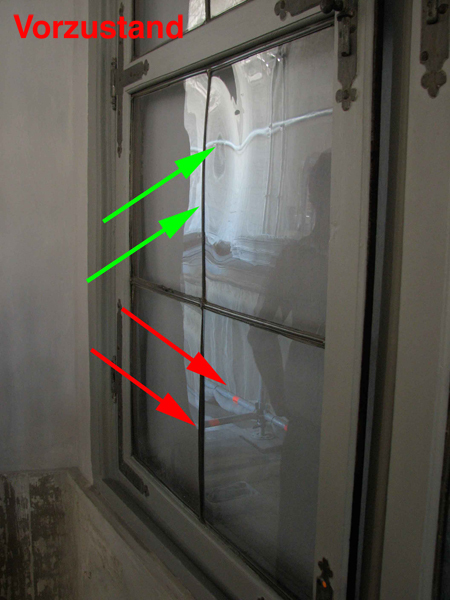 On the left, one can see one of the blind windows next to the windows facing towards the interior courtyard. 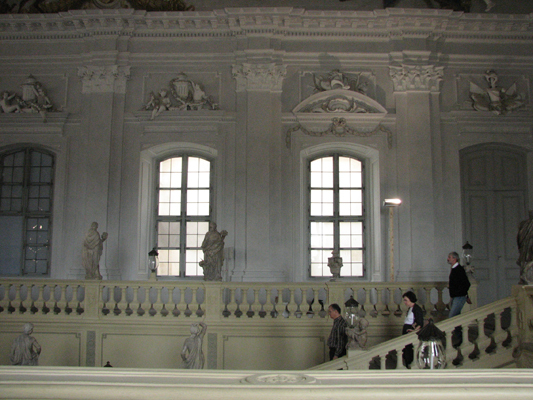 In the stairwell with the famous ceiling fresco by Tiepolo at this UNSESCO World Heritage Site, the Residenz in Würzburg, some of the historic blind windows are still in place despite the severe destruction in World War II – some of them even have their original panes. 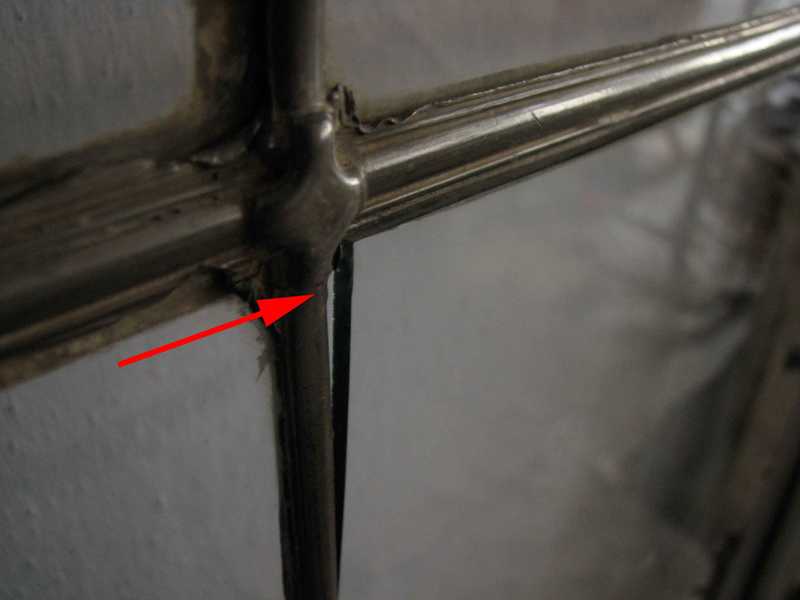 Since not all of the panes in the leaded glass are of historic origin – and in the past, simple float panes were used for repairs, the original surface structure is inhibited by extremely even reflections. 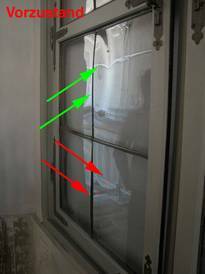 Due to the various levels between the extremely planar float panes and the original panes, the lead netting between them is subject to a heavy load and indicates some damage as a result. 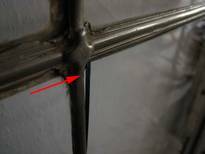 To preserve the damaged original lead netting and still securely hold the panes in place, lead seals were placed onto the lead nettings. We will gladly give you more information on enquiry." 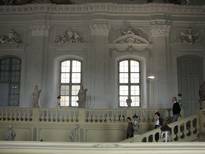 In the condition after the completion of work, this supplementation adapts ideally to the historic inventory. 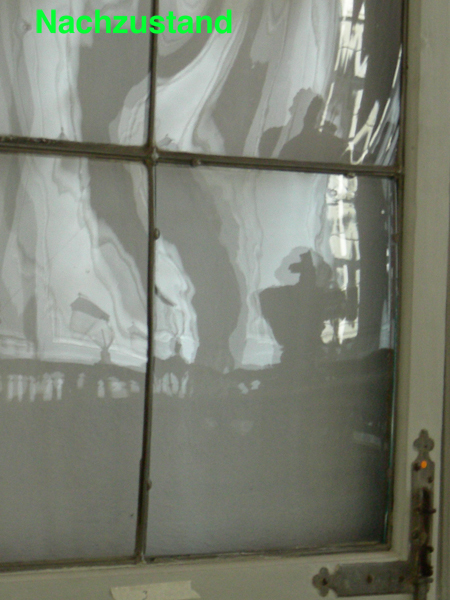 Here, it is plain to see the load which the normal float-glass panes impose upon the original lead netting. 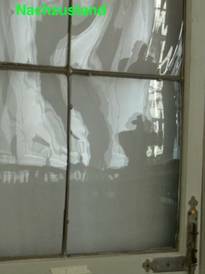 In the reflection, at first glance, the differences between the historic inventory and the repaired panes prior to the re-working performed by us is also plain to see.